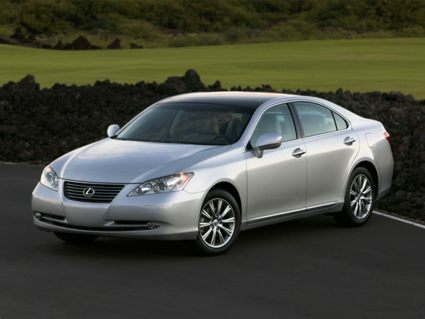 The Lexus ES was the make’s first model; five generations later, it is still being manufactured and has been the best selling Lexus sedan in the U.S. for over 15 years. Also known as the Toyota Vista and Toyota Windom (until the last generation), the Lexus ES is considered an entry-level mid-size luxury sedan. The ES was built on the Toyota Camry platform and was the only Lexus made with front-wheel drive until 1999. The 4-door, 5-person ES was built with Toyota styling elements since its inception. The fifth generation ES 350 incorporates the Lexus trademark L-finesse body styling. assembled in Tsutsumi, Kyushu. Miyawaka and Fukuoka, Japan. appealing entry-level luxury car in 1997, 2001, and 2007, also by J.D. in 2004, 2005, and 2007.
of Ricky Bobby, The Dukes of Hazzard, and The Benchwarmers. Pics of Your RC F Right NOW! what are some small things that bug you about the Lexus RC F? New tires/wheels.... tire pressure not reading, but no warning flag?